Discussion in 'Games Talk' started by Auwi, Aug 26, 2015. In the near future, London stands abandoned, a dilapidated shell of its former self. After a mysterious disaster, the international Crisis and Disaster Agency stepped in to clean up the mess and decontaminate the city. They failed... badly. Recently I fell in love with Dirty Bomb and its become as much as an obsession of mine as TF2. It has a very basic concept: Objective gameplay with unique characters at your disposal. It has similarities between CS:GO and TF2, the game is focused around the objectives of arming/disarming bombs as well as escorting and repairing objectives. It has a very fluent movement system, allowing you to jump off walls and use sprint to move more quickly. At the same time it has a very detailed aiming system which you can aim down sights and lose accuracy by firing too quickly or jumping. In my opinion it is a very fun Free to Play game which I recommend anyone to play. As you play the game, you can get credits by doing missions (like contracts in tf2) which award you credits. These credits allow you to buy new mercs (new mercs are being added ALL the time!) which can also be bought using real life money. Don't be afraid as different mercs offer a different type of gameplay style, and don't affect balance. Each merc can also be equipped with different loadout cards. These loadout cards come from equipment cases which can random drop after a game (You don't need to pay to unbox these!). These equipment cases give you loadout cards, which give you different weapons and perks. Loadout cards range in quality from lead to combalt. Lead cards have 1 perk, Iron cards have 2 perks, All cards from Bronze to Cobalt have 3 perks. Each perk is very minor, and only gives you slight gameplay advantage from each, not enough to become too powerful from the stock loadout cards which have no perks. These cards CAN be purchased using the in-game currency or real life money. From the mercs side, You have "classes" which each merc can belong in. There are many different classes, including medics, air supports, snipers, and normal combatants. Each merc in a class can heavily differ from each other (ex: Sparks uses a REVIVR gun, which can revive teammates from afar versus Sawbonez who can only use a defibrillator at a close range). These classes can also be bought with in-game credits or real life money. PLEASE give this game a try before you criticize it for anything. This game feels how competetive tf2 does, only in a pub setting. Brilliant. I love the way this game handles medics. Hitting some nice medkit throws on SawB is just as good as hitting a frag as fragger. Not to mention they can actually fend for themselves, sometimes ill choose SawB/Sparks over something like Fletcher because i know that i can fight with the best of them. My gripes with this game come in the form of Phantom (I dont care if he isnt overpowered anymore he is a dumb concept to begin with. Why something like invisibility be considered for such a mechanics driven game is beyond me) and the fact that Fletchers stickybombs STILL dissapear. I played this game in goddamn closed beta and they still havent fixed it. And the last thing, what are the devs actually factually doing with their time? None of this 'new content'is actually new, i played redeye back in 2014 and he was the exact same character. 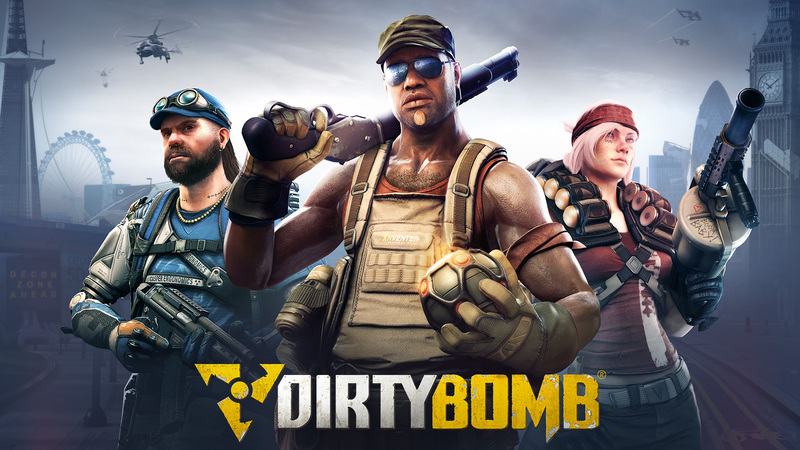 I'd love Dirty Bomb if it were a one time purchase instead of free to play. I've only played the game for a couple hours and every game (except one, but I think that was a new player only match or something because it was my first match) had a spinbot/triggerbot cheater in it. They're adding in a new anti-cheat system in it. I've seen so far about 10 games with cheaters so far out of my 145+ hours of playing it. There's a ton of good players you can also easily mistake for hackers. The new anti-cheat system Splash Damage is working doesn't work so great right now, but they're promising to update it whenever they get the chance. I'm excited to see a game such as this look so polished in beta. It feels finished to me and I haven't found many game breaking bugs yet. Hope they keep working at it.